Manchego cheese is one of the most recognizable and recognized flavors worldwide of Spanish cuisine. Its origin is in La Mancha, a region that was baptized by the Arabs as Al Ansha (land without water) and that extends from Toledo to the Sierra de Cuenca and from the Alcarria to Sierra Morena, occupying 34,380 square kilometers. The inhabitants of La Mancha have been grazing for many centuries, which led to the development of techniques to make cheese as did all primitive populations. There are remains of bowls, perforated vessels, cheese makers and other utensils in the museums of the provinces of La Mancha. For example, a clay cheese-maker made in the Bronze Age was found in Daimiel. It shows the necessary perforations to be able to press the cured paste. So we know that the origin of Manchego cheese dates back more than 4,000 years ago. But the biggest secret of the Manchego cheese is the type of sheep that is used, called “La Mancha sheep”, whose origin is among the primitive Mediterranean sheep that formed the first branch of the species adapted to extreme climates, such as La Mancha. It is a species that has hardly changed in many centuries. 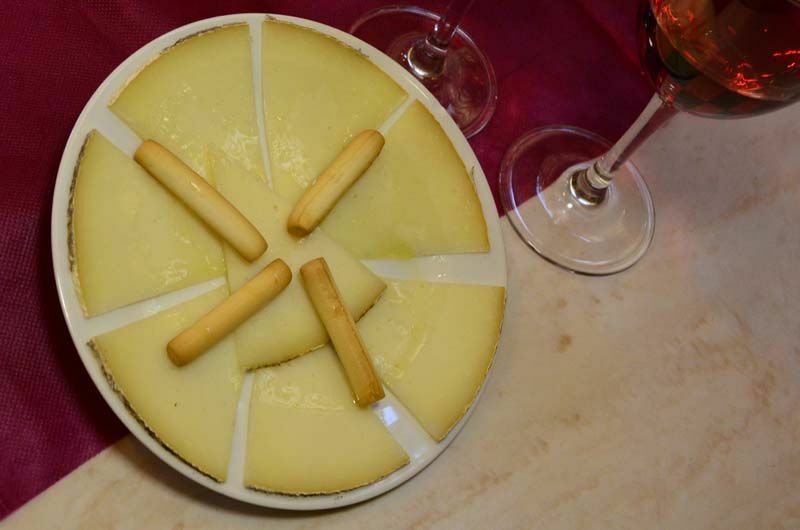 Manchego cheese appears in many historical and literary documents. For example, in the immortal Quixote of Cervantes. Or in the book by Francisco Balaguer y Primo entitled “Exploitation and manufacture of milk, butter and cheese of different kinds”, where he refers to this delicacy as the first among the main Spanish cheeses. It is also one of the great symbols of the culture of La Mancha, which even has a museum in Manzanares (Ciudad Real), where you can see tools related to the production of this cheese. For example, a “brete” that served to hold the sheep while they were milked. This tool gave rise to the very Spanish expression of “poner en un brete” that is used to refer to someone who is in a bind. And as sure that you have entered desire to eat a good Manchego cheese, do not hesitate and come to El Anciano Rey de los Vinos. The one we serve is amazing.